Patients receive on average 10 different drugs while in hospital; when fewer than 6 are administered the probability of an adverse drug interaction is about 5%, but when more than 15 are given the probability increases to over 40%. Patients presenting for anaesthesia and surgery are likely to receive multiple preoperative drug therapy and also many perioperative medications as part of their anaesthetic regimen. Thus, there is a considerable potential for interactions to occur in anaesthetic practice. Pharmacokinetic interactions occur when the administration of 1 drug alters the disposition of another, and hence alters the concentration of drug at the receptor site, leading to altered drug response. These changes in drug concentration at the receptor site may be produced by alteration of (a) drug absorption and uptake into the body, (b) drug distribution, (c) drug metabolism and (d) drug elimination or excretion by nonmetabolic routes. Interactions affecting the absorption of orally administered medications are often due to the indirect effect of 1 drug on gastric motility and emptying, which leads to reduced, delayed or variable systemic drug availability. Gastric emptying time before elective surgery is normal, but premedication with morphine, pethidine (meperidine) and anticholinergics all delay gastric emptying and hence drug absorption. Inhalational anaesthesia of short duration does not appear to affect drug absorption, although halothane anaesthetic used for longer periods produces a slight delay in gastric emptying. Volatile anaesthetics have been shown to delay the intramuscular absorption of ketamine. Anaesthetic agents may affect drug distribution, and peak concentrations of propranolol, for example, are 4 times higher during halothane anaesthesia in dogs, accompanied by a marked decrease in volume of distribution. This effect has been noted for other drugs, including thiopental and verapamil. Volatile anaesthetics also affect plasma protein binding, leading to displacement interactions in some cases. Volatile anaesthetics affect the metabolism of concomitantly administered drug (a) by altering the rate of delivery to the organ of clearance (e.g. decreasing hepatic blood flow) and (b) by altering the activity of drug metabolising enzymes. It is now well recognised that all the volatile anaesthetics currently in use inhibit the metabolism of a large variety of drugs, e.g. propranolol, lidocaine (lignocaine), fentanyl and pethidine. Other examples of interactions of clinical importance to anaesthesiologists include those between Cimetidine and the local anaesthetics and benzodiazepines; inhibition of plasma Cholinesterase by drugs such as ecothiopate; interactions between monoamine oxidase inhibitors and sympathomimetics or pethidine and between isoniazid and enflurane. 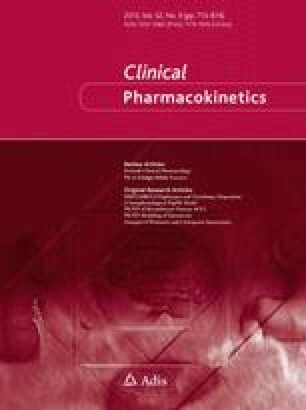 Although the clinical importance of pharmacokinetic drug interactions may have been overemphasised in the past, the potential for drug interactions to occur in anaesthetic practice remains substantial.